Multi-couplings are systems for manually, pneumatically or hydraulically connecting a large number of pneumatic, fluid and electric lines at the same time. The manually operated fluidic multicouplings are used e.g. 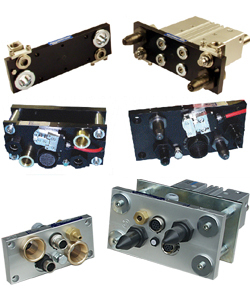 for pneumatic measuring, control and monitoring loops and are supplied ready to be installed. Walther precision offers different designs of manually operated multi couplings for the simultaneous connection of several fluidic, pneumatic and electrical lines. 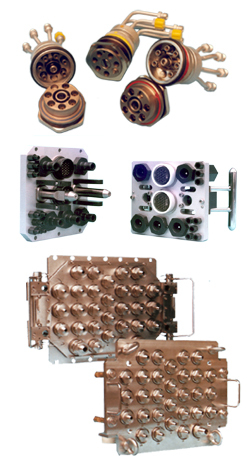 Due to the fixed arrangement of the coupling elements, mistakes are prevented, and the duration of the coupling procedure is enormously faster. Multi couplings are typically used where automated operating procedures during manufacturing, testing, actuating and controlling are needed.